Psychology is the science of human and animal behavior. It is a field that requires people filled with compassion and dedication, who are willing to discover and apply evidence-based procedures to solve individual and systems-level behavior problems in a wide range of areas. Our program includes faculty with course and associated research and clinical experience in areas, including but not limited to Clinical/Counseling Psychology, Behavior Analysis, Industrial/Organizational Psychology, Social/Health Psychology, School/Educational Psychology, Community Psychology, Gender/Cultural Psychology and more. Accordingly, graduates of the program are well poised to continue their training at the graduate level or to seek employment in a variety of settings. As a Psychology major you will take courses that expose you to core and specialty areas within the field, taught by are award-winning full time faculty and local colleagues. Our students work closely with faculty and graduate fellows to design, execute, and present research in a variety of areas. The Department of Psychology has research labs on campus in the state-of-the art Center for Sciences and Pharmacy, and some projects are conducted with partners offsite. Students can receive course credit for research participation in one of our many lab groups. View a sampling of student research projects. In addition to strong academic training in the core areas of psychology, you can choose from dozens of electives. Course selection allows you to unofficially specialize in your areas of interest, including clinical/counseling/forensic/neuro psychology, school/educational/developmental psychology, social/health/organizational psychology, and behavior analysis. 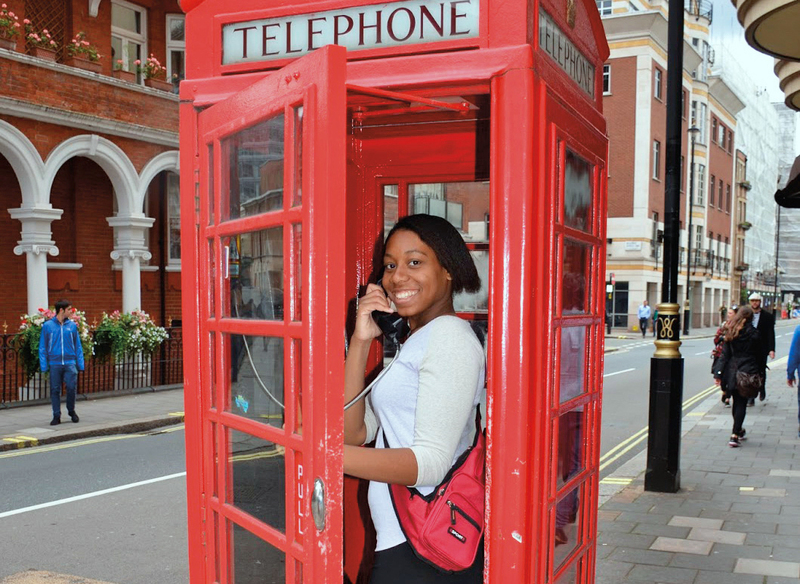 Our Psychology major is very flexible, enabling you to pursue either a BA or a BS degree. You can receive course credit for research participation in one of our many lab groups. You may also double major in Elementary or Secondary Education. Many students from other programs pursue the Psychology minor. Approximately 50% of our graduating seniors attend graduate school immediately after commencement. They often receive multiple acceptances. View a list of graduate programs our alumni have attended in the last few years. Many students enter the workforce upon graduation. Psychology graduates may work in hospitals, community mental health centers, business settings, social service organizations, educational settings, and the criminal justice system. Our alumni have been hired by the Florida Hospital in Orlando, United Cerebral Palsy, the New England Center for Children, the University of New Hampshire, and the FBI. 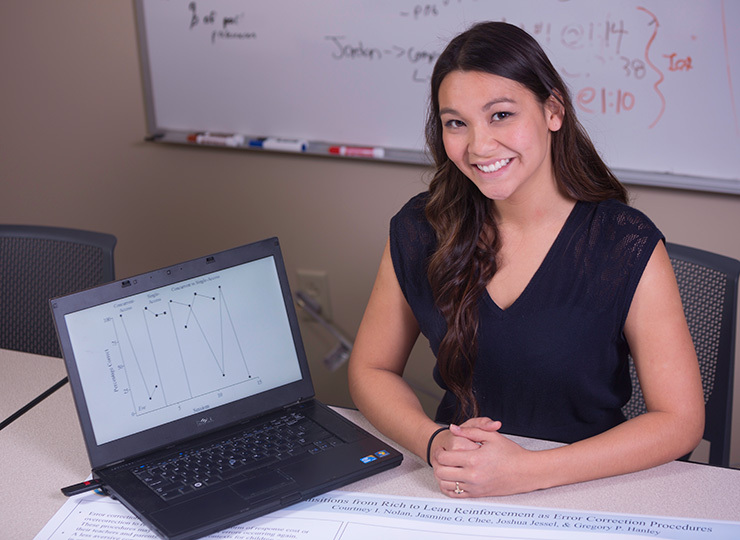 Psychology students may have interests in: Alpha Lambda Delta (First-year, Pre-Law Society, Psi Chi (Psychology Honor Society) and Psychology Club. Many of our students also participate in varsity and intramural sports, special interest groups, and student government. You'll be taught by several of the University's Teaching Excellence award-winning faculty members, who are also actively engaged in advising and mentoring students about internships, career paths, and applying to graduate school. Our students work closely with faculty and graduate fellows to design, execute, and present research in a variety of areas. The Department of Psychology has research labs on campus in the state-of-the art Center for Sciences and Pharmacy, and some projects are conducted with partners offsite. Students can receive course credit for research participation in one of our many lab groups. Students can choose from a wide range of internships at dozens of sites in the region and on campus to earn experience and course credit, and to develop clinical and professional skills. Recent sites include placements in educational, clinical, business, and community settings. These range from Springfield Public Schools, Baystate Medical Center, Hampden County District Attorney's Office, May Institute, Indeed.com, Synergy Alternative School, New England Center for Children, Department of Youth Services, Beverly School for the Deaf, Greater Springfield Habitat for Humanity, and numerous elementary, middle, and high schools.